These are the words you hear at the beginning of the Cree podcast, In Eeyou Istchee. I started the podcast to preserve an Indigenous language by gathering thoughts, ideas and sounds about Cree affairs. It’s slowly growing, with a dedicated Cree listener base that embraces and supports it. The goal is to have those who listen feel enriched, entertained and improved. One of the ways I do this is by having conversations with Cree speakers about their real-life experiences and hearing their perspectives about issues relating to governance, education, language and culture. Eeyou Istchee is a Cree phrase that means, “The People’s Land.” The East Cree are located in northern Quebec, where my journey begins. During a chat last fall with Robbie Matthew Sr., chairperson for Nishiyuu Council of Elders, I mentioned my interest in preserving my language. He asked why. “Chayou,” I said, using the Cree word for “elder,” which is meant to convey the highest respect, “I don’t want us to lose our language.” We spoke about how the culture is changing because of the influence of social media, which has Cree people watching vlogs, listening to the radio and watching movies, all in English. Though my language is not considered endangered based on research findings by Mela Sarkar and Mali A’n Metallic, Indigenizing the Structural Syllabus, Matthew says he fears the language may become obsolete because of the lack of Cree content on social media. His fears became mine, and so the idea to create a podcast came to me. “What is a language without culture?” he asked me in Cree, “and what is culture without language?” Those questions resonated after realizing some of my family members, my friends and I prefer to speak in English instead of Cree. Some still speak the language at home, at school or at work. After realizing I might be participating in a so-called language loss movement I’ve created in my personal life, I didn’t want to take it any further. I took a step back and switched to speaking in Cree at home. Of course, I recognize that we are a bilingual country and languages are important because they are part of what defines Canada. But we must never forget that it was built on Indigenous lands, and those lands had people with their languages and cultures. There are far more languages in our country than the official ones. We must do everything to preserve the languages of our cultures, and use them in our daily conversations. I discovered a Facebook group called Maintaining our Cree Language and Culture, where group members create posts on ways to preserve the Cree language. One person, Theresa Kakabat-Georgekish, from Wemindji, Que., became my inspiration. I saw her writing about the importance of language, and creating workshops for her community members to practise and speak proper Cree. Often, I would see her post videos of herself singing in Cree with a songbook. The book had Cree syllabics on it, and while singing, she would show her viewers so they could follow the words with her finger. This was the first time I saw someone posting content the way that she did. Another person who I found interesting is Scott-Pien Picard. He is Atikamekw Innu, from Sept-Îles, Que., and I first heard his debut album this past summer when my parents blasted it on their home speakers. His songs were catchy, and he was singing in his language about love, heartbreak and his child. Though his songs were in Innu, we have some language similarities. I grabbed his album and started singing with him because they were relatable to me. The best part was, I understood his songs. After finding out about this guy, my parents started telling me how the Innu create songs in their language and they found Scott at Innu Nikamu Festival, near Sept-Îles, where Innu artists gather and sing. These people helped me realize the importance of our language. 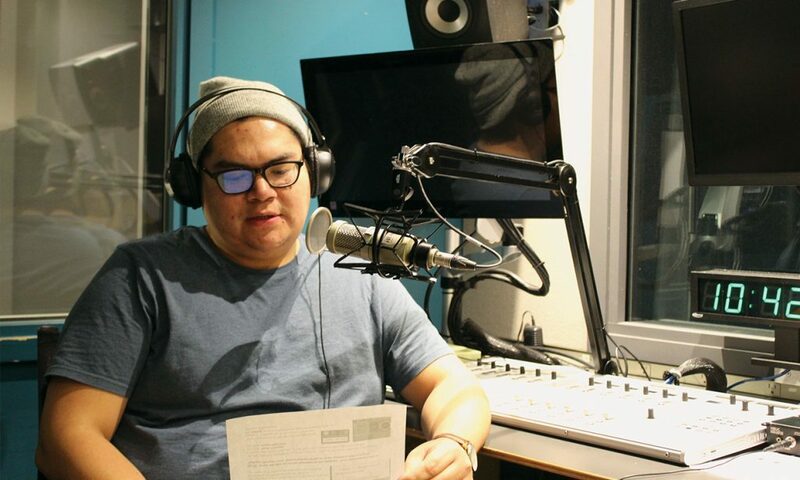 And so, with my podcast, I can continue to have conversations in my language while living in Toronto, and create content that’s relatable to the Cree.